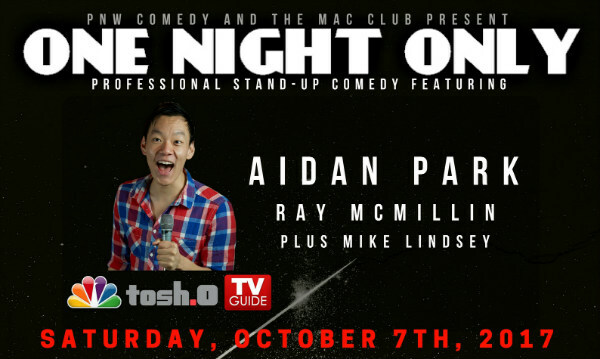 Starting at 9 PM on Saturday, October 7th, come enjoy a fantastic evening of stand-up comedy in McMinnville, OR with the hilarious Aidan Park (Tosh.0, NBC), Ray McMillin and Mike Lindsey! For a high-octane and fun time, Comedian Aidan Park is your man! Aidan performs comedy at some of the most respected comedy clubs in Hollywood including Comedy Store, Hollywood Improv and has a monthly show “COMEDY REALNESS” at the Hollywood Laugh Factory as well as Laugh Factory Long Beach. Aidan tours all over the country headlining for respected comedy clubs, fundraisers, parades. His Tv/Film appearances include Comedy Central, Tosh.0, NBC, TV Guide Channel, and Hulu TV. In addition to Park, Mac Club-favorite Ray McMillin will be featuring. Plus, Newberg-resident and Mike Lindsey will be opening up the show. 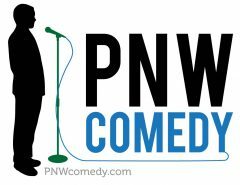 Hosted by Andrew Brunello (PNW Comedy). Doors at 8 PM, showtime at 9 PM. For ages 21 and up.